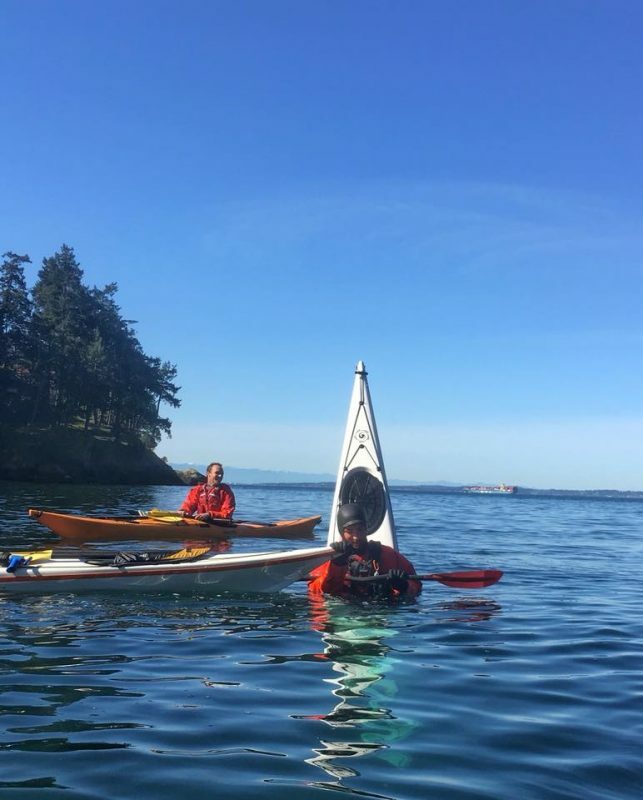 Well, we have been at it all Spring to get staff whipped in shape for another awesome season of kayak tours on San Juan Island. Senior staff members have been busy honing their skills and training the new team members. Each season we bring in a select few new team members. Then it is up to each of them to pass our training program to progress to being a guide. The new members this season have been through a lot of though training. A couple have completed the first year guide training requirements and a couple of the others are almost there. We take our training seriously and it is not easy to become a kayak guide here at Discovery. Soon we will be posting new guide bios on our guide page. They have earned it and are excited to start the season. The weather has changed for the better. Leaving behind the wet and cool weather of April, May has started with sunshine and warm temperatures. It’s a perfect time to join a kayak tour on San Juan Island.